Here at Rangers Dog HQ we’ve been feeling festive for a little while already…now that the weather has turned a bit wild, and the nights are closing in, it can only mean one thing! Christmas is coming and we’ve been thinking about how we will celebrate the festive period..and what we will be adding to our seasonal shopping list. We’ve put together a list of the best dog Christmas present ideas from the simple to the sublime, things to pamper your pooch, a lap of luxury, sensational snacks and best of the tech. Whatever your budget, we have trawled the market to inspire our fellow dog lovers! These days there is an advent calendar for everyone, from the traditional nativity, chocolate filled delights for kids, grown up calendars containing gin or beauty products – so here’s one for our beloved pooch too! If he’s been a good boy all year then indulge him in December with a meaty treat in the countdown to that most indulgent of days. Containing 100% natural ingredients and human grade gently roasted chicken, these treats are full of goodness too. We couldn’t resist checking out a bit of doggie tech when it comes to Christmas gifting! The Furbo is a 1080p full HD camera with night vision, with a two way chat function and barking alert. Put simply, if you are away from your furry friend at any time, the Furbo allows you to keep a virtual eye on him at all times via a Smartphone app, communicate with him and toss him treats to keep him happy and entertained. Furbo philosophy is “Always together, wherever”, and was developed with the aim of reducing separation anxiety in our furry friends when we inevitably have to leave them at times. It is simple to use in three easy steps: 1, Download the app. 2, Connect the device to your WiFi. 3, Talk and toss treats from your phone. I definitely think this is worth a look if you have to leave pooch regularly and wish to keep an eye on him from afar. Move over Mutt, this is MY bed!! Yes, it really does look comfy enough that I’d like to curl up and take a quick nap, and what better colour than a festive red berry! With densely filled base and side cushions, and made from premium quality fleece and faux suade materials with removable washable covers, this is style and function in one luxurious bed. The large size is suitable for a Labrador size dog, and Wolfybeds come in a range of sizes to suit your pet. Treat your dog to a cosy new sleeping place this Christmas! Flexi are the original innovators in retractable dog leads. German in design and manufacture, flexi leads are the industry standard. The cord on the lead adjusts as your dog moves, allowing more room for him to explore his surroundings. The design cord medium is suitable for dogs up to 20kg, and can be accessorised with the multi box which can attach and store treats and poop bags! We love the colours, especially this bright pink! Check your dogs size before choosing; ensure two fingers fit between the dog’s neck and collar. A little while ago we featured the wetherbeeta parka in our list of best dog coats. Being well known in the equine world as a great brand for horse rugs, we knew they’d make a good quality dog coat too. This one has a 1200Denier waterproof outer shell, with easy to adjust tape closures, a large collar with a leash hole for added warmth and protection, and reflective strips for greater visibility. But wow, the best bit? The pheasant print of course! Perfect for a country hound, or any chic fashion conscious pooch for that matter! We’re sure this will keep your beloved friend toasty warm this winter. 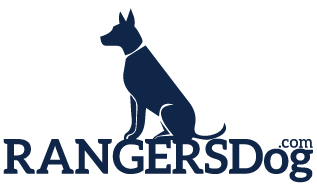 Recently at Rangers Dog, we reviewed dog trackers and came up with our top ten. Pawfit caught my eye because it combined GPS dog tracker with activity monitor, and came loaded with a few nifty extras such as the Audio ID tag which converts the information you entered about your pet, into audio data which can be broadcast should anybody else find your pet. As trackers come, it has all the useful features we would hope to find, such as a geofence and live updating every 5 seconds, and utilizes several technologies – GPS, WiFi and cellular signals, to help locate your pet and keep him within a virtual boundary. We concluded that pet trackers are a great use of modern technology and not simply a fad, and that activity monitors for pets weren’t a bad idea either, given the growing canine obesity problem! So give a tracker some thought this Christmas. No Christmas would be complete without a few tasty treats, and that goes for our furry friends too. We recently featured brand Pooch and Mutt in our dry dog food article as we were impressed by their health food ethos and quality, natural ingredients. Their focus is on the “power of positive nutrition”, and they have worked with nutritionists in the UK to bring to market their range of foods. So not only can you indulge your hound with a few tasty treats this festive season, you can rest assured they are getting a nutritious snack as well. These wheat free treats contain Oats, Rice, Turkey, Sweet Potato, Pea, Chicken, Gravy, Carrot, Yeast, Linseed, Vit E Supplement, Parsnip (equivalent to 5%), Sage, Parsley & Thyme. Just like the kids, dogs love a good toy too. We love this nifty little treat ball; made from a tough bite resistant, nontoxic rubber, just pop in a few kibbles and keep them entertained for hours! This ball can also aid with dental health when chewing the unique surface, whilst keeping a bored pooch happy. A good, value for money gift. How about a new dish for pooch to lick clean after he’s finished his Christmas dinner?! We love these bright and unique bowls with brightly coloured bone and paw pattern. Just customize with your pets name before adding to your basket and hey presto, Bruce and Bruno will never eat from each others’ bowl again..! The large size ceramic bowl is suitable for medium sized dogs.